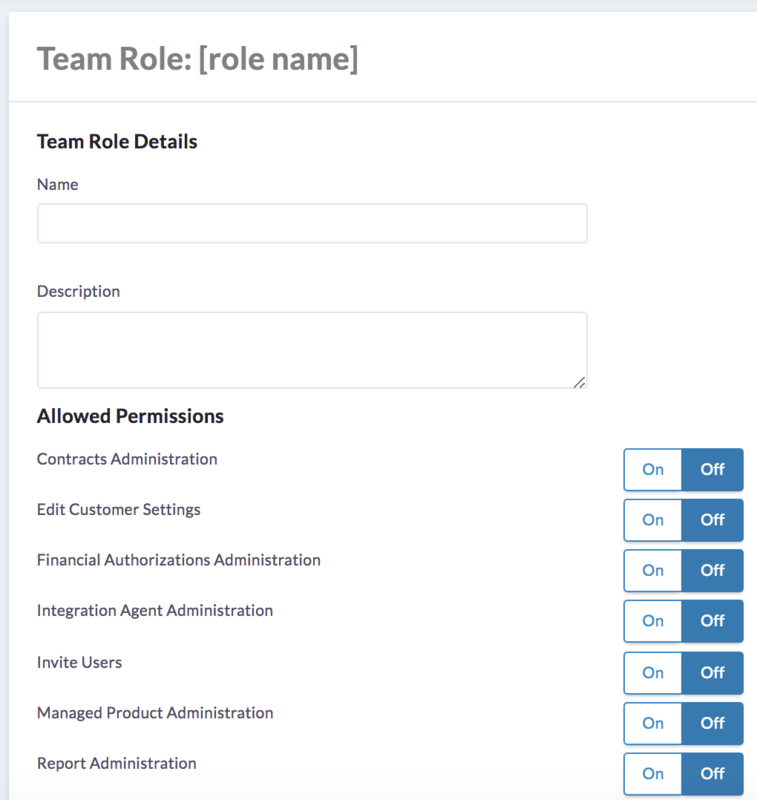 SaaS Manager allows site administrators to create and edit user and the permissions associated with each role. Listed below are the steps involved in creating custom user roles. To see a list of all available permissions, see article "User Role Permissions." 1. Log in to your my.metasaas account. 3. Click "New Team Role"
Description: A brief summary of this role's responsibilities and use cases within the system. 5. Turn "ON" all Permissions to be associated with this user role.